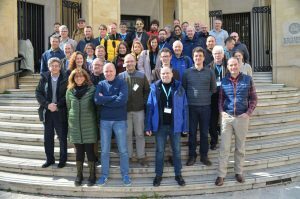 Below: Participants of the GLOBIS-B Species Interactions Workshopheld in Bari, Italy on 26-28 February 2018 and organized by Daniel Kissling et al. Photo shared by Antonio M. Saraiva. Justin Matocha, above, cleans a red snapper on Thursday, July 2, as part of a study by Texas A&M University-Corpus Christi. The entrails of the fish, shown at left by associate research scientist at the Center for Coastal Studies at A&M-Corpus Christi, Dr. James Simons, were collected from about 10 red snappers and one king mackerel that were caught on a fishing tour. 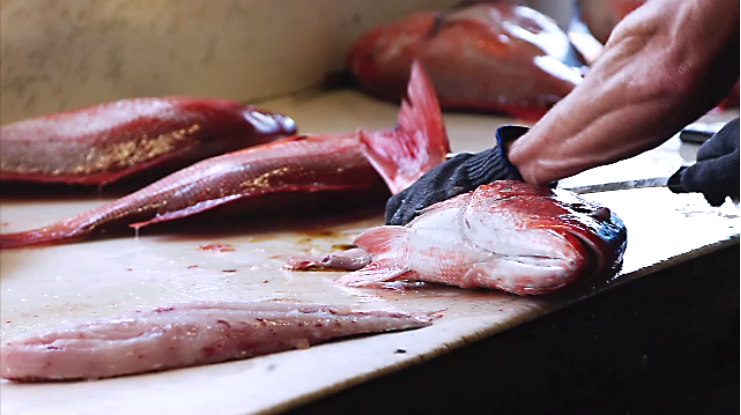 In the name of science, don’t throw out those fish guts. James Simons, a research scientist at the Center for Coastal Studies at Texas A&M University-Corpus Christi, needs them for a database on the diets and interaction of the fishes of the western Gulf of Mexico. PORT ARANSAS – A researcher with Texas A&M University Corpus Christi is trying to get the inside scoop on fish guts. To read the full KIII-TV story, click here. To read the full KRISTV Story, click here.